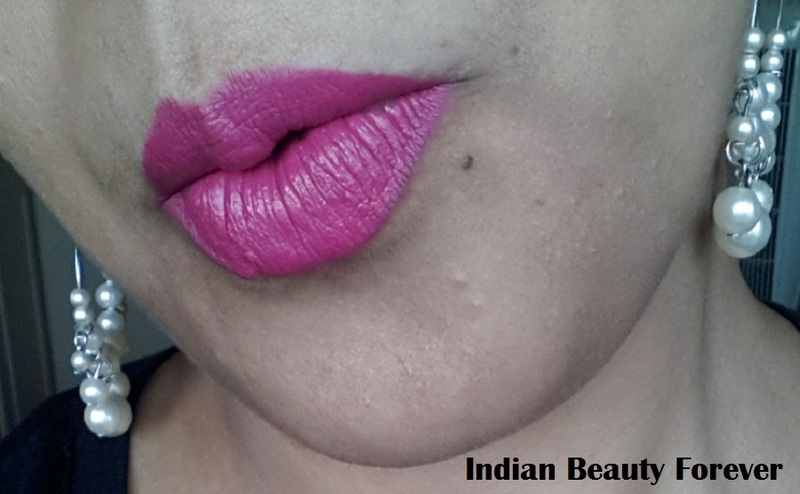 Today I am going to share my views on Smoking Hot Pink from Wet n Wild range that I bought together with Mauve Outta which I have already reviewed earlier. This is my favourite one. 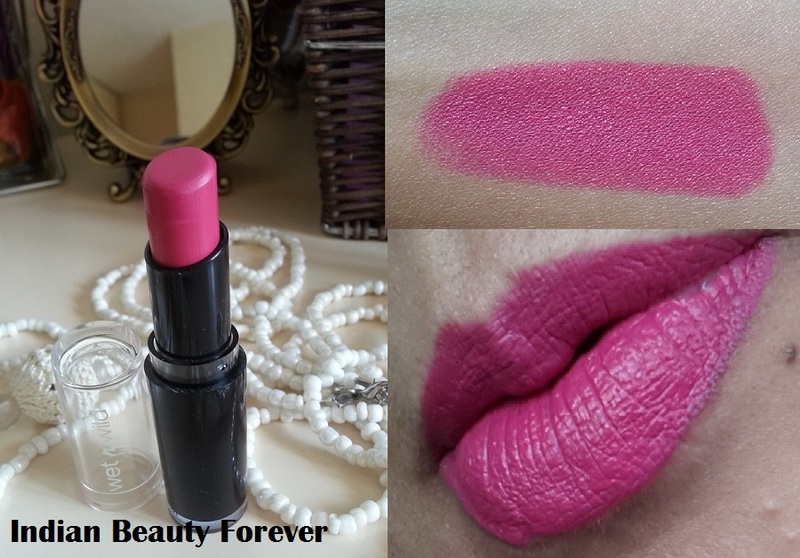 Product claim-This 4-hour, long wearing lip color leaves a semi-matte, crème finish in one stroke. Glides on easily with rich, velvety color that doesn't cake, feather or bleed. Made with hydrating skin-care ingredients. Hyaluronic Microspheres provide extraordinary adhesion to lips, an exclusive polymer complex offers cushion-like feel and texture, and natural marine plant extracts Coenzyme Q10 and Vitamins A & E help smooth lips. There are 26 shades available in this range. It is a bright pink colour with coral undertone. Sometimes it looks pink while at other times, pink with coral undertone. 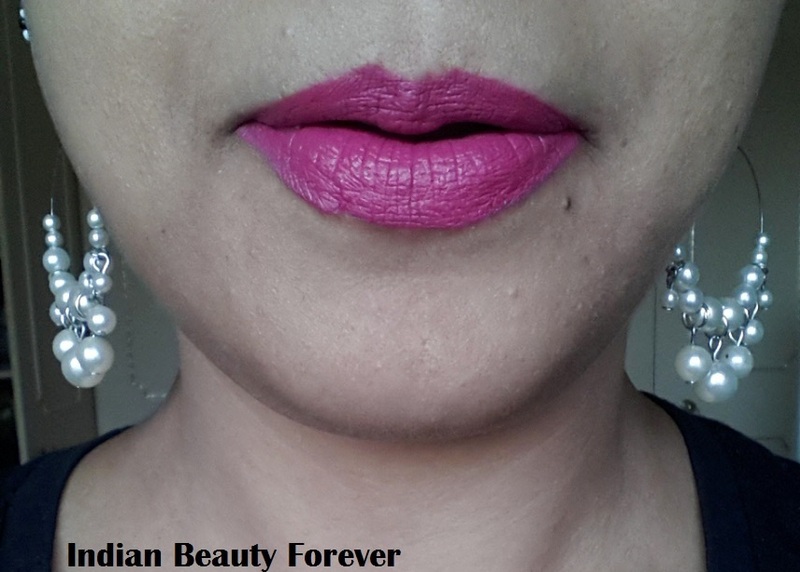 Very eye catching and gorgeous shade and everyone’s favourite, perfect for summers. 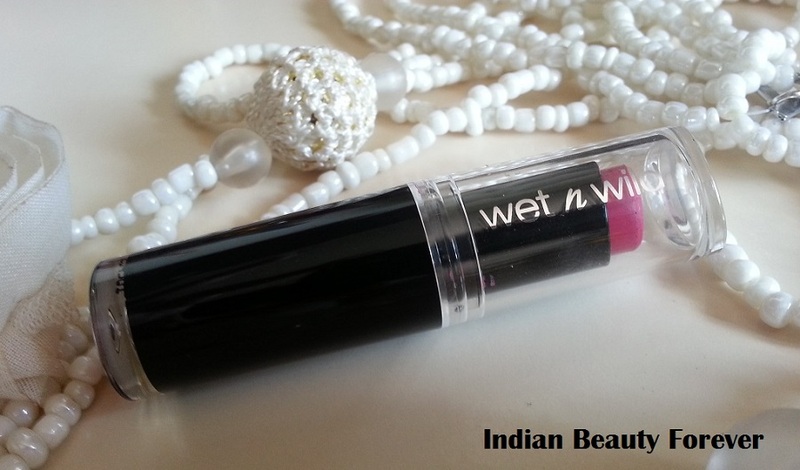 The Pigmentation is fantastic and the formulation is very creamy, no chance of drying your lips. 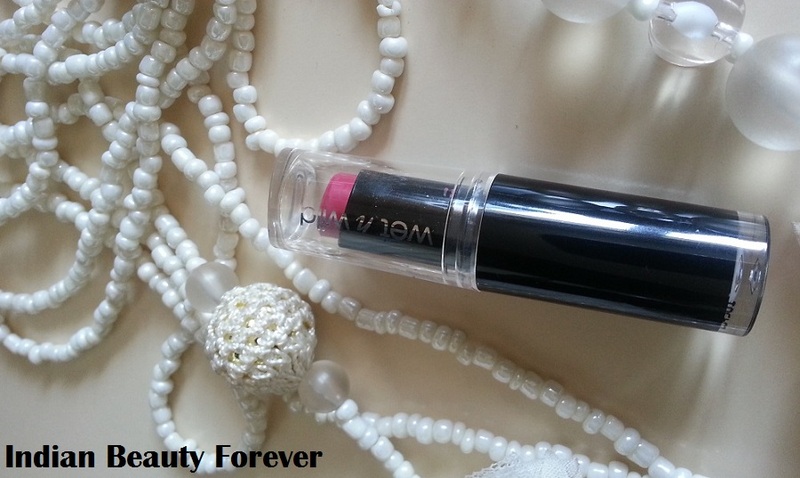 Glides very smoothly on lips and has great staying power. This is something to brighten up your day; not just the face. The smell of lipstick is quite strong but fades off after 5 minutes. It has a semi-matte finish and the formula is moisturising but does not get dry, flaky or settles in to the fine lines. I would still recommend you apply lip balm underneath or ex-foliate your lips properly. It lasts on lips at least 5-6 hours without meal and drink. When it fades it does so evenly and normally wears down to a stain. Staying power is indeed impressive. It does not bleed, feather, flake or dry out the lips. It would suit all skin tones and can be worn at all times. Packaging: It comes in a simple, transparent black & white packaging. Brand name is embossed in the transparent lid in silver. Colour number and name are written on round bullet. 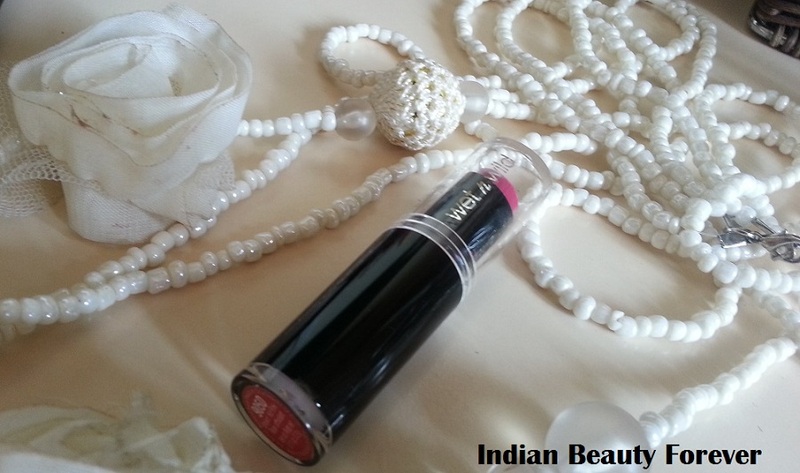 Transparent tube makes it easy to figure out the colour of the lipstick inside. It is travel friendly as well. 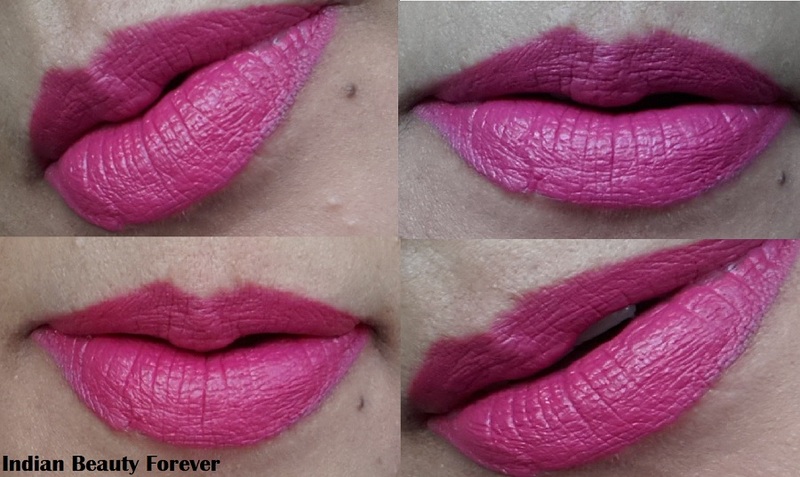 Final Verdict: I adore these lipsticks because of smooth texture, intense pigmentation and superb staying power. This range has some really pretty colours which are quite wearable as well. So do give a try !!! indeed its v pretty shade pearl..
Love love love the color. SO hot! I love bright n bold shades shikha..
U and pink look awesum together.. and that neckpiece in the pics looks so prettyy!! 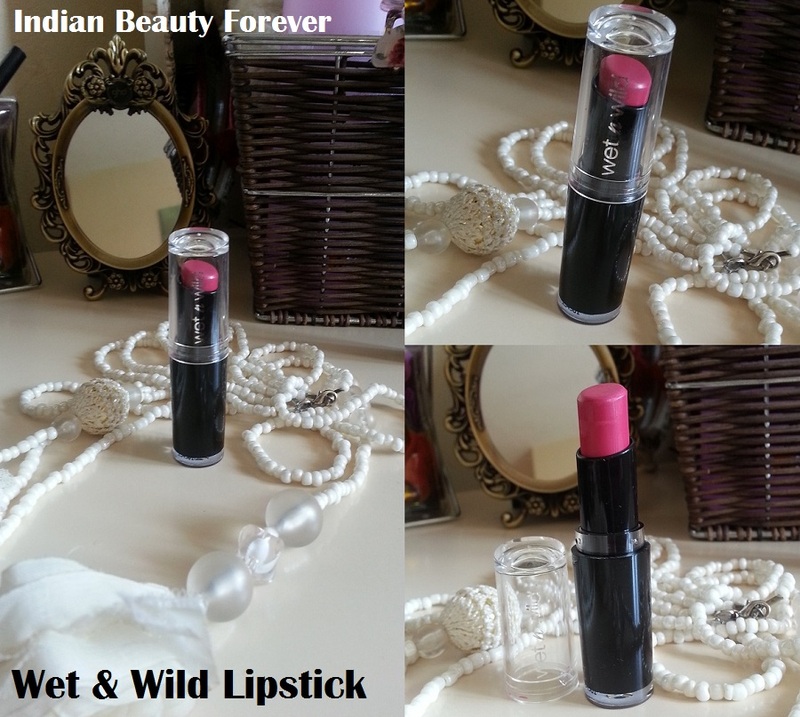 I love Pink ...Thanks dear..
Nice review, You have lots of pink color lipstick Tej. ha ha ha...v true subha..
matte is definitely not suited for my lips but its a perfect fit for Tejinder. hey navneet u can apply lip balm underneath..it gives semi-matte finish..
ur lipshade choice n lip swatches make me mad..i find it very hard to resist these shades tej...awesome!!!!!!!! Lovely Neckpiece n Lovely Pics! Wish These Were Available in India! yeah lucky me got it from Amazon UK....I love NYX blushes as well..
Nice review Tejinder and I love the shade..
Glad u loved my clicks coral.. Thanks my dear..u made my day with lovely comment. Wow! Such a hot pink! Suits you well! This is cute Tej. So pretty lip swatches!! Now let me start - that mirror in backdrop so cute, your neck piece so cute and you are cutest of all :) but how many hot pinks, fuchsia pinks do you have Tej!! Thank you sooo much for a lovely comment ..
Like the new blog layout and the lipstick colour is amazing!!! OMG... I love too much this color!!! Thank you sooo much for a lovely comment..
ha ha ha..aww...thanks supriya darling..
absolutely fab color..loved it tej!! is it fully matte or creamy?? Tnx for your lovely words on my blog darling!!!! I'm currently loving this shade of lipstick, I recently got one from H&M, adore it! thanks arpi...how r u dear ? ?